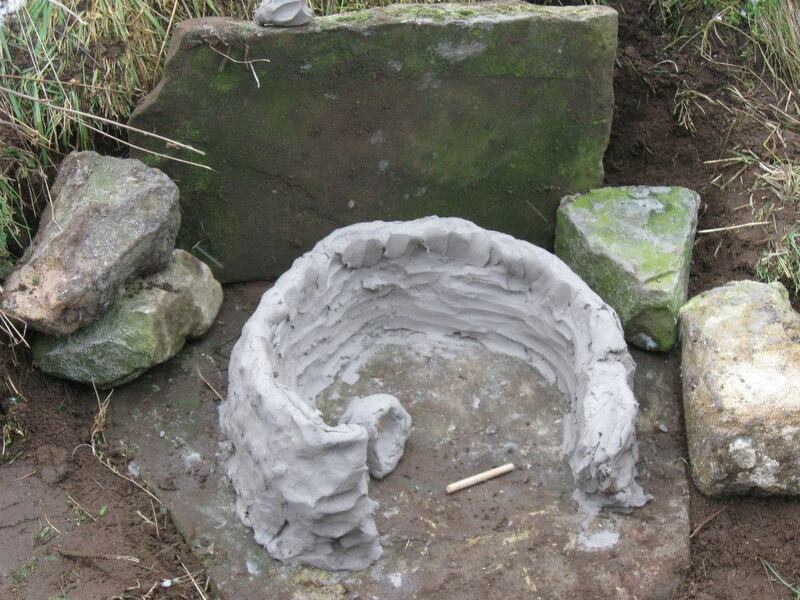 We have enjoyed using authentic bread recipes, such as Iron Age flatbreads cooked on a metal trivet over the fire, but for some time we have wanted to build our own oven. This would be a great challenge. 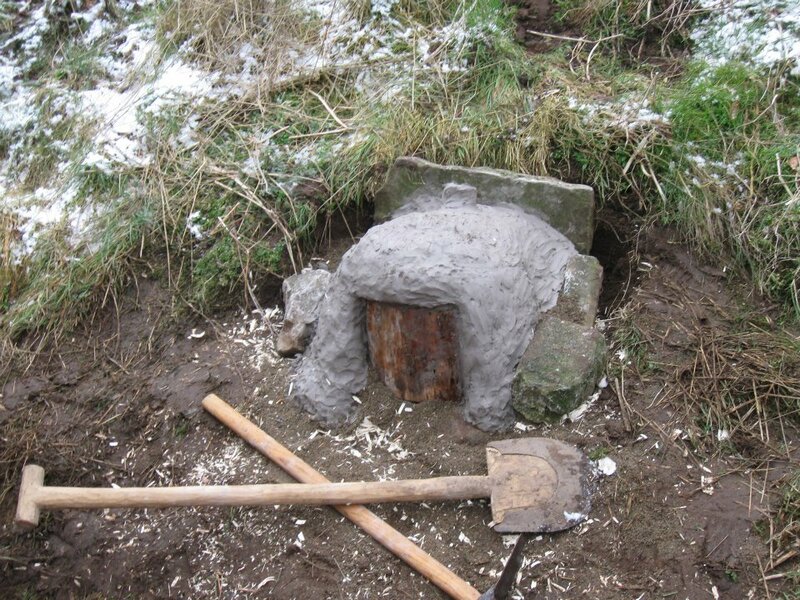 Over the course of a weekend, we set ourselves the task of building a scaled-down but authentic Roman military-style bread oven in the bank of the ramparts of the fort at Murton Park. With a short timescale and inclement weather on the Saturday morning, not everyone was confident of success, but against the odds we successfully completed the project surpassing all our expectations. of Murton Park's open-air classroom Roman Fort. 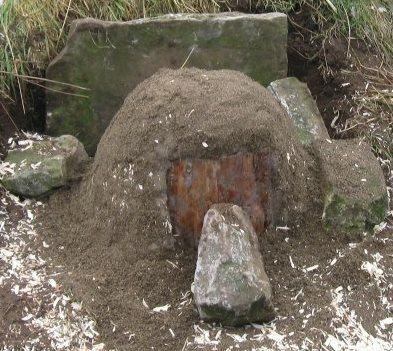 Despite being of fragile construction, there is strong archaeological evidence of bread ovens from the Roman period. 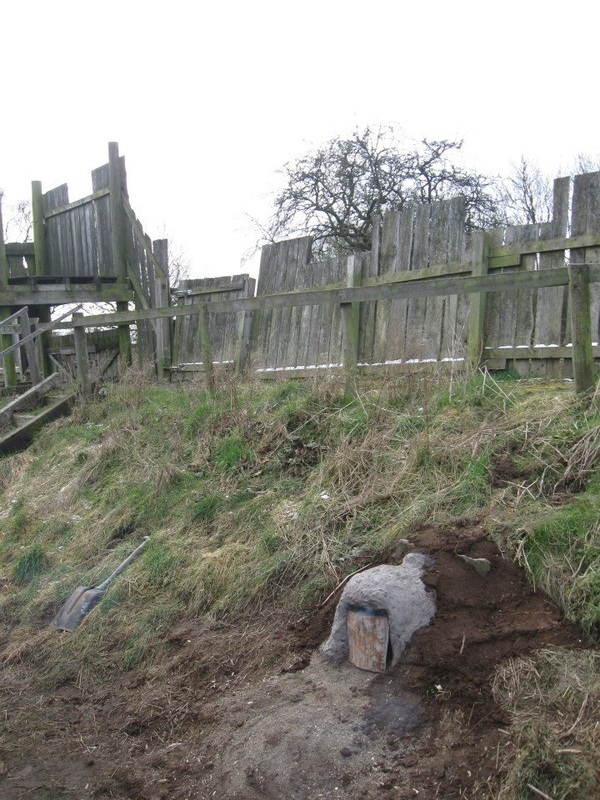 Aside from larger brick ovens found in Pompeii, numerous examples of clay-based ovens similar to our design have been found, notably including an example at the fort Mumrills near Falkirk, part of the Antonine Wall which Gary and Alex saw some of during a long-ago family holiday to Scotland. 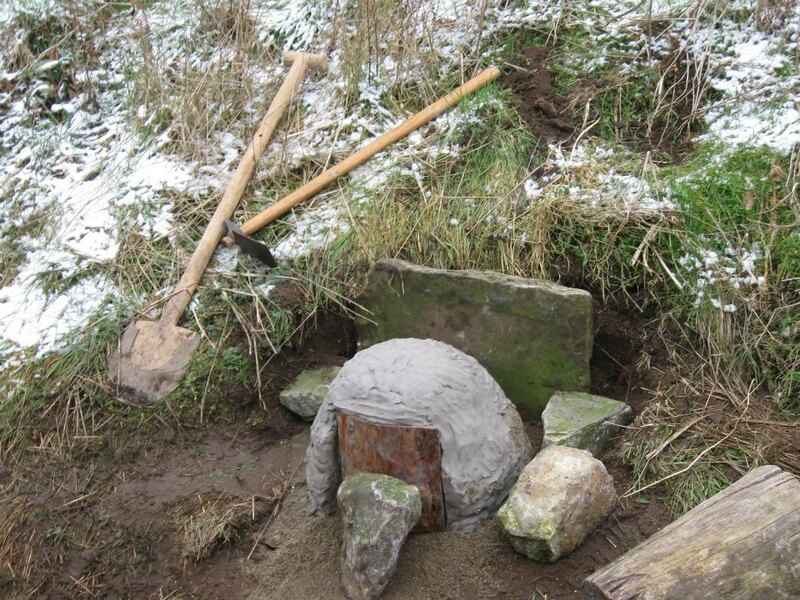 The Mumrills oven, like our own, used large flagstones as bases covered by a dome which included a small chimney to help gain the intense heat required prior to baking; however, unlike our plan, the construction of its dome combined both clay and stone rubble. 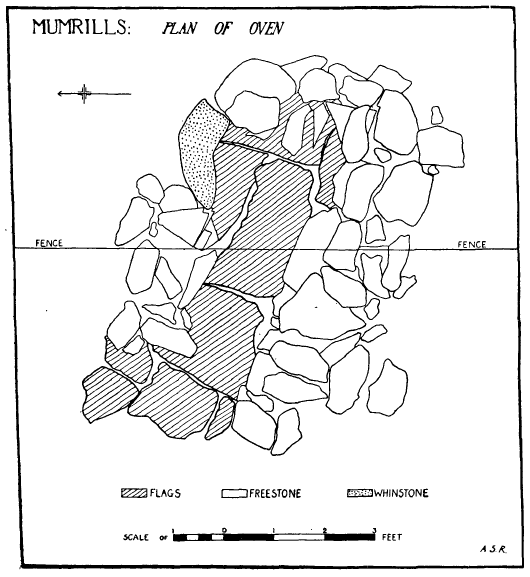 We chose, partly due to our available materials, to build the oven walls using clay alone, mixed with some course sand for insulation and cementation – this corresponds greater to other examples including one at Tell Abu Sarbut in Jordan, which is of special significance to the Earlyworks team due to our affinity with the later Roman period. Below. 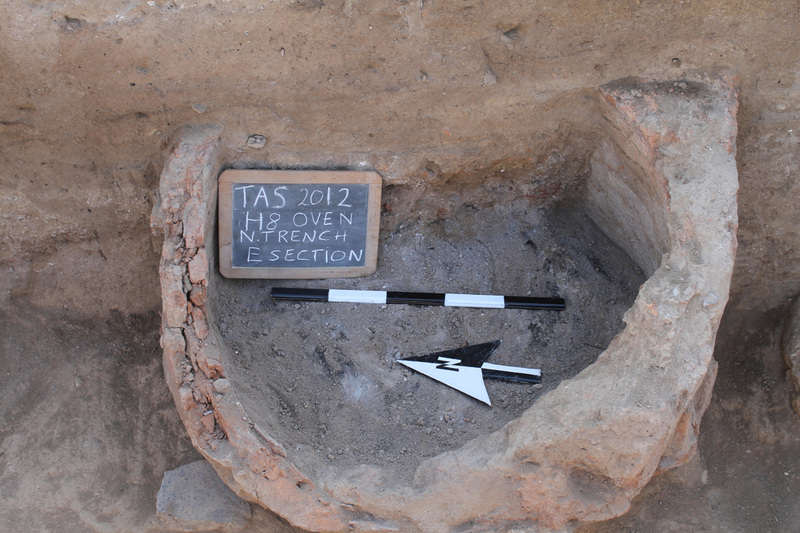 The clay bread oven excavated by Dutch archaeologists at Tell Abu Sarbut. Above. The clay oven at Doune Roman Fort, Scotland. Tell Abu Sarbut’s example is built against what appears to be the side of a building, but when choosing our construction site, we took inspiration from finds at Binchester and Doune (again in Scotland), in siting our oven into the bank of the fort’s ramparts. At Doune, five ovens have been found built into the bank in this manner. We bore all these archaeological finds in mind when designing our oven, along with more practical matters of expediency, and we believe we have created something of a composite combining elements of all of these examples to give an overall interpretation of a generic Roman oven in a military scenario. Once we had decided upon a method, building the oven took us just over four hours on the Saturday. Obviously if we had been building to a larger scale, such as the example from Mumrills, this would have taken much longer, perhaps over the entire weekend. 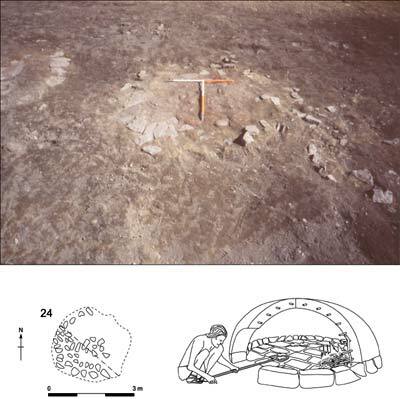 If we had enjoyed more time, we may have lit a fire in the oven at intermediary stages to help dry each layer of clay out, but instead we waited until construction was finished before lighting a small fire on the Sunday to help begin to dry the clay out. 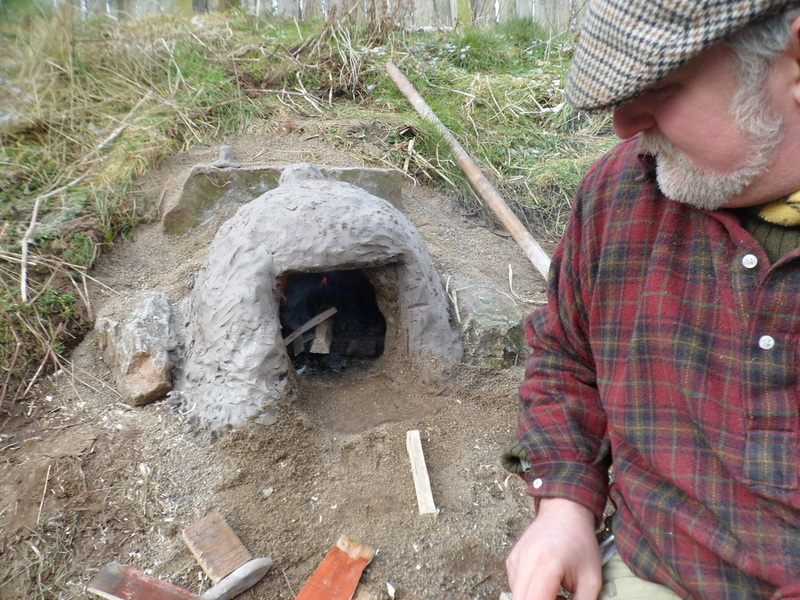 In April, we intend to return and finally get to bake some bread using our own authentic oven. For the construction, with no evidence known to us as to how the Romans actually built their ovens, we adapted methods used by modern oven-builders known to work to fit in with our authentic ethos. All the materials we used (amounting to clay, sand, stones and wood for the door) were those readily available to the Romans and our pattern was based on the examples we had analysed. For the building work, we used a combination of authentic tools with modern ones which were essentially the same pattern, such as turf-cutters. Our first task, after choosing our site, was to dig out a section of the bank large enough to fit the immense flagstone we had chosen for our base. 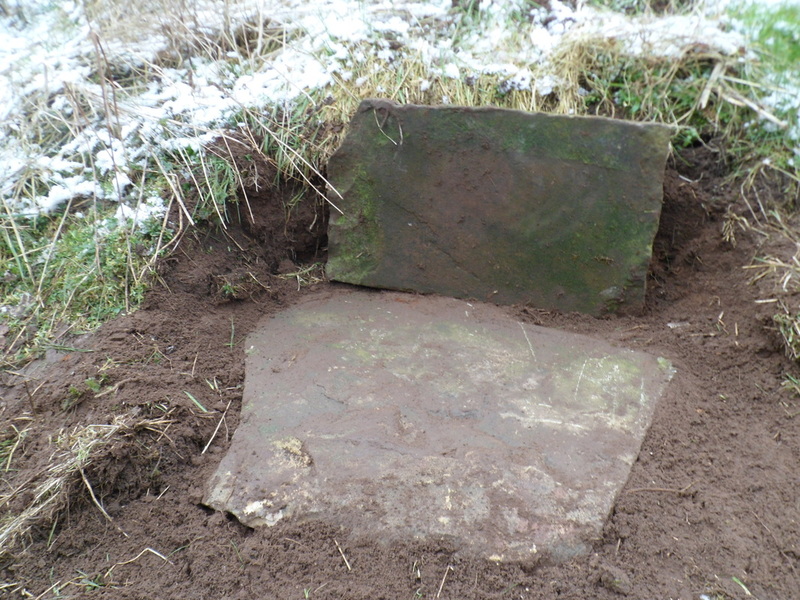 Once done, we placed the flagstone upon a bed of small gravely stones to attempt to resolve known drainage problems, and used another large stone as a back support to prevent the bank from subsiding onto our oven at a future date (on reflection making our site appear strikingly similar to Tell Abu Sarbut with its oven built against a stone wall). 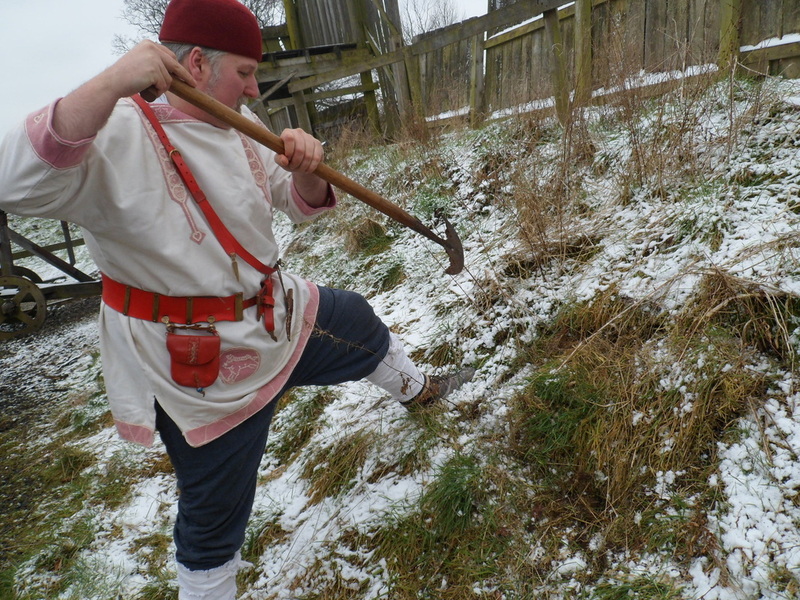 Upon our base, we began to build a first layer of clay, aiming for a wall roughly 7 centimetres thick. Once halfway up, we poured a mound of sand into the centre to use to create a ‘former’ in the shape of the dome, to aid in our construction and prevent the roof from collapsing in on itself: this sand was removed on Sunday morning. After the first clay wall was finished, we rubbed a thin layer of the highly coarse sand into it: we had planned on mixing the sand into the clay originally, but due to time constraints, the already malleable consistency of the clay and the ominous weather, we adapted our method as such. After a break for lunch, huddled round our warm fire, we proceeded to build a second, thinner wall of clay, again coating in sand afterwards before adding the third and final layer, this time thicker. To finish off, we added a heightened chimney and levelled the clay off towards the back stone in the hope of ensuring the entire structure was fully self-supporting. On Sunday morning, we removed the sand ‘former’ via the entrance hole, then lit a small fire inside the oven. There was no way we could fully dry it out this time, but it was greatly satisfying to see smoke coming out of our chimney. Hopefully by April the oven will have dried out naturally, allowing us to use it for its intended purpose. Before leaving, we gently covered the dome back over with the soil and turf we had removed from the bank, all improving the insulation, or so time will tell. Hopefully, our method will have achieved its aims of creating an oven with sufficient insulation to reach the required temperatures and suitable protection from the elements to last and be enjoyed into the future. We all agreed that building our oven was a great experience. At first, the weather looked foreboding, with a slight downpour of snow, but by the time we had done all our preparatory work, all we had to fight against was the cold. Wrapped up warm and taking it in shifts, we managed to work through this, with much empathy for the poor guys who were given the task of building five of these in a row up by the Antonine Wall (hopefully it was summer for them). 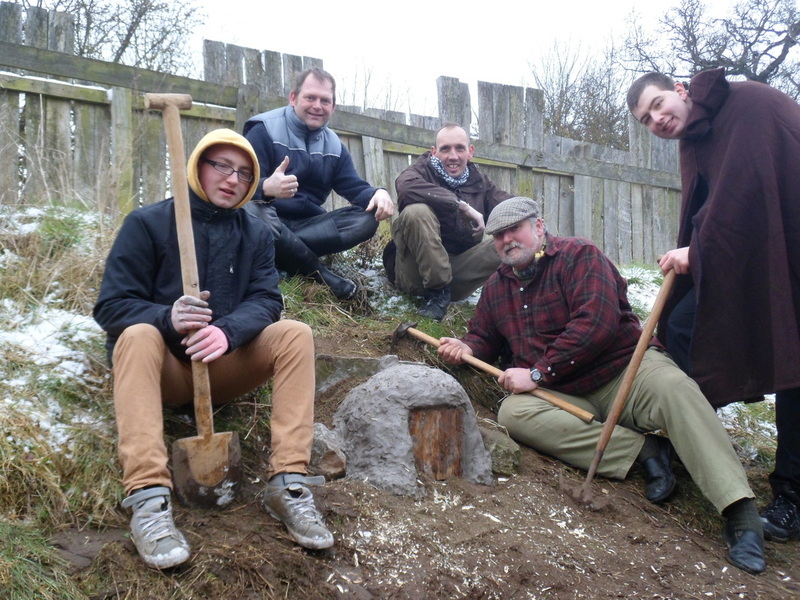 By the time we broke off for lunch, we all had come to the realization that we would finish the main construction work on the first day, providing the vital boost to leave our cosy fire a-side and return into the Yorkshire tundra. When all was finished, the satisfaction of having completed our project after so long, and having worked on it together as friends, more than made up for the cold we had endured. Overall, we feel that everything turned out better than we had anticipated: our amended construction method saved time, allowing us the chance to get a small fire lit on the Sunday before packing up; our materials, despite some last-minute reservations, proved sufficient with a little left over; and by the end, despite being smaller than the examples mentioned above, we were left with something that looked better than we had imagined during the planning stage. 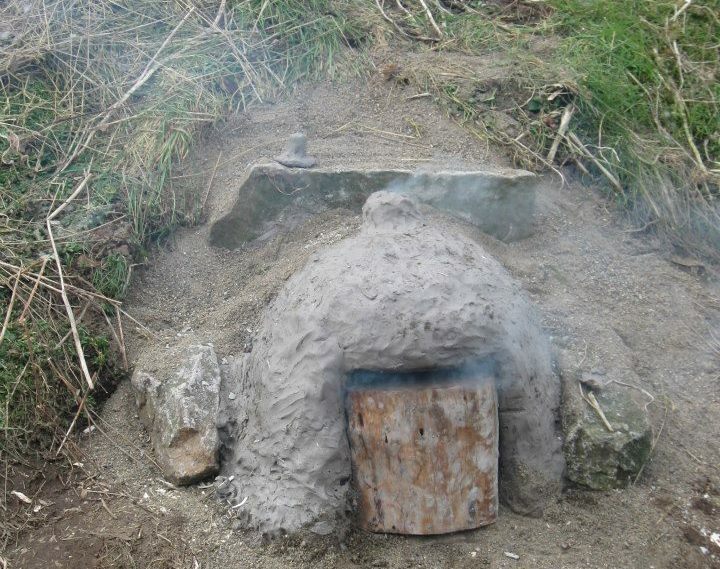 Although we have currently yet to test it out, for now we can at least say that we have built an authentic Roman bread oven in the style often found in forts, which as an experience was rewarding in itself. Now we can only look forward and hope it works!